The Wave from Reate. Designed by Solo Jack. 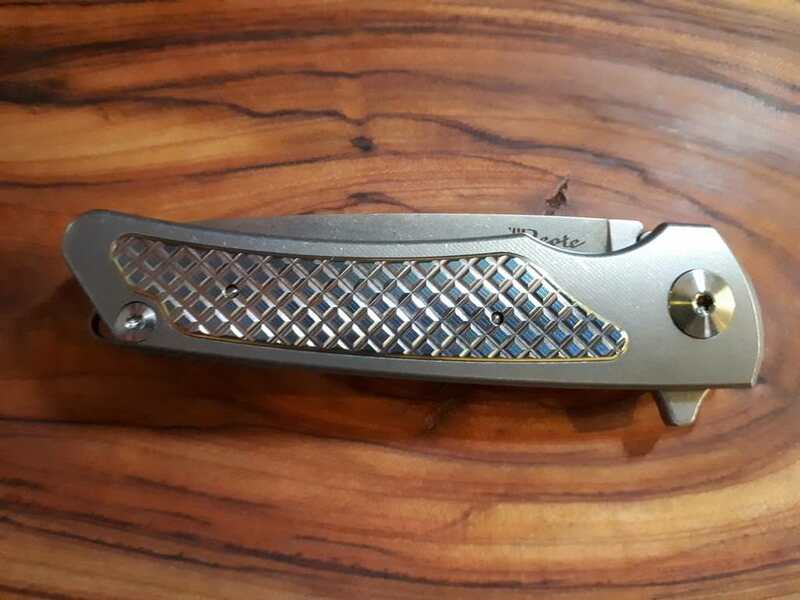 This knife features top of the line Bohler M390 blade steel, Titanium handle and a beautiful titanium handle insert (blue cross hatching with subdued gold bordering) and anodized fittings that truly set the Wave apart from other knives. 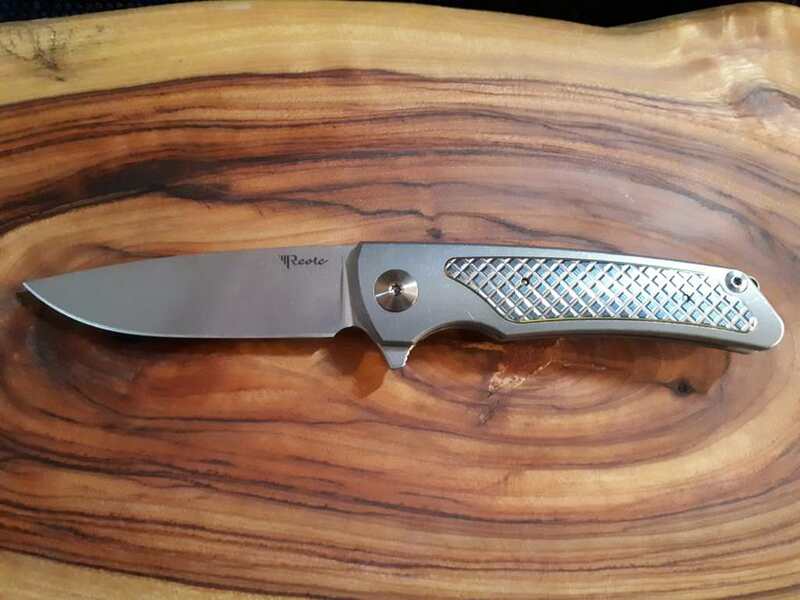 Blade Length: 85.7mm - 3.375"
The Reate Wave was shipped to me in a box containing a propitiatory Reate zippered case, with the knife encased in a plastic sleeve, Reate pull string bag, microfiber cleaning cloth and spare bits (pivot washers, screws). 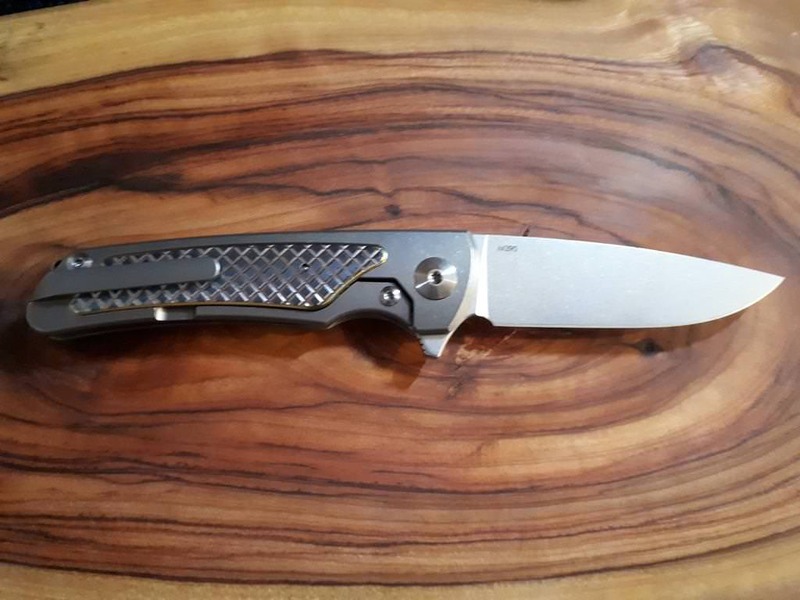 As soon as I picked up The Wave I was impressed, and I thought "this is a beautifully executed high end knife". I was extremely impressed with this knife. 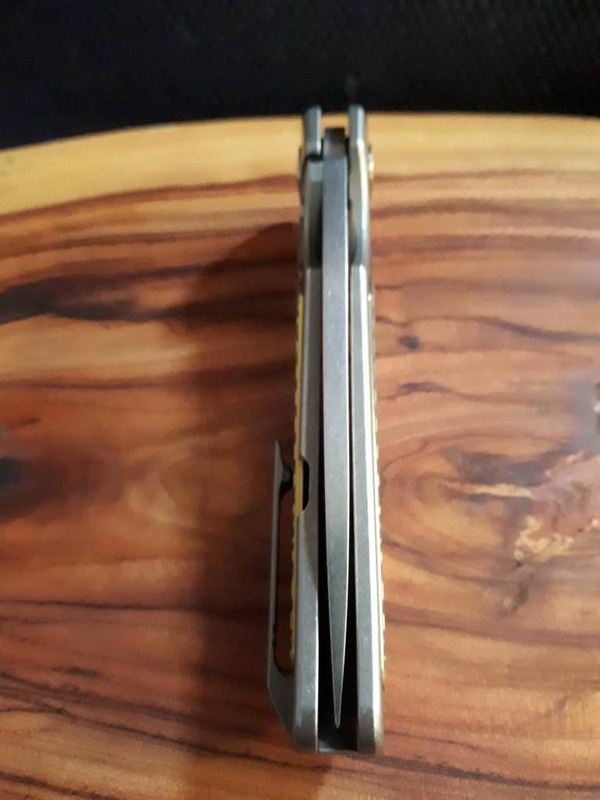 Fit and finish is excellent, every thing screams class when you handle the knife, and then you flip it, and snap the blade deploys with a smoothness that I have rarely seen in a flipper. The blade is perfectly centered, all edges are chamfered, and the handle has milled blue anodized/gold trim inserts, there is milled back spacer with integrated lanyard hole, milled ti pocket clip (it was a single position clip, and set up for right hand tip up carry only), steel lock bar insert, and all hardware is stainless steel (pivot and single stand off, I determined that by using a magnet, as Ti isn't magnetic). The flipper tab has jimping, which is not too aggressive. Lock up is around 30%. The knife arrived shaving sharp, though I did strop the edge further to polish the edge even more. The Wave gave my XXL hands a full four finger hold, and the knife feels extremely good in hand and with all the texturing on the inserts grip was very good. I felt no 'hot spots' when using the knife in any of the cutting test I performed. The full flat grind of the blade made the knife an excellent slicer, and the Wave performed very well in all cutting tests I performed. 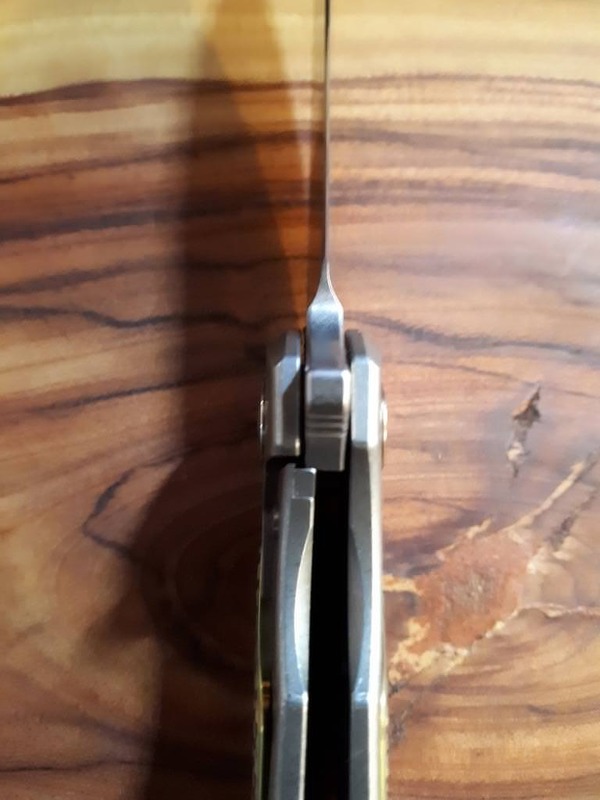 The knife's pocket clip had great retention and it carried well in pocket, and is quite deep carry, so very little of the knife pokes out of your pocket when carrying it. The knife goes in and out of the pocket easily. It is close to being the perfect size and weight for EDC, and the Wave didn't take up much real estate in pocket. I have to say again how smooth the firing is of the blade, it is equal to the best flippers I own (ZT's and RSK with needle bearing which are renowned for giving a smooth flipping action), though I could not definitely say it was 'better', this is definitely in the realm of a 'fidget flipper' and it snaps open with authority every time. The inserts have a lot to do with this I believe, as they prevent your fingers from resting on the lock bar, unlike other frame locks. The Blue Wave is limited to a run of 500, with mine being numbered 228. The knife's number is stamped on the inside of the back spacer. The Reate Blue Wave represents a classy, sophisticated gentleman's folder in a near perfect smallish package very well suited to EDC carry. While it is right on the threshold of being too small for my XXL sized hands it is still larger enough to afford a full 4 finger grip, while maintaining its small overall package. Technically the Wave is close to perfect, beautiful fit and finish, a snappy, smooth action, great ergonomics and built using top of the line materials. 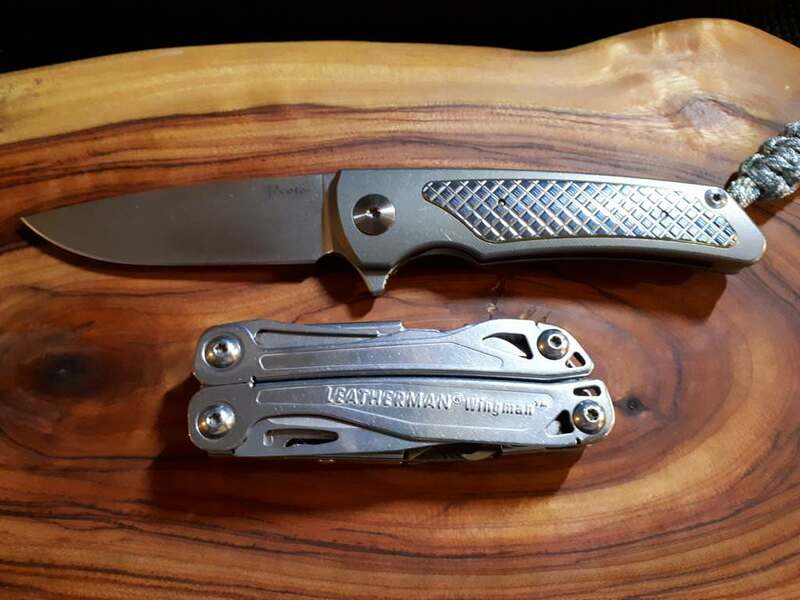 I will say for the price point (close to $500) they are expensive knives, and there are other companies doing similar quality knives for a lot lower price point. If you can justify the price, I highly recommend it. There are only two things I would see changed, firstly have the insert holes eliminated, making them blind so as not to ruin the flow, and to have the frame lock disengaging pad jimped to facilitate disengagement and secondly maybe the off side of the lock recessed to again, allow easy access to the lock. For full disclosure I would also add I have XXL hands, and that must play in to my review process, and the readers should keep that in mind when reading my reviews and recommendations. Lastly I ONLY use folding knives for light cutting duties, so I will not do 'hard use' cutting tasks with any folder, that's what I have fixed blades for, so cutting tests consisted of cutting paper, cardboard, packaging, paracord, some food prep (again, not a task I use folders for for the most part) and other duties a stay-at-home-dad would use a cutting tool for around the house. 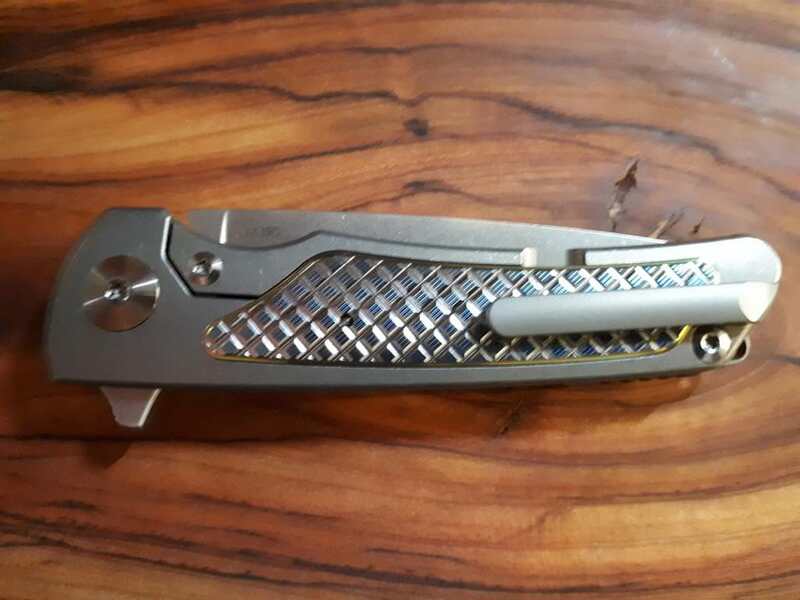 Classy looking knife with nice smooth lines, should be comfortable to use. Know the feeling about having a nice knife and being reluctant to use it. I have a drop point made by a well known Australian knifemaker whom has retired so no more knives by Robert Dewey. For routine usage in the bush prefer to use rather utilitarian knockabout knives which to be truthful, do the job quite adequately. There is always the chance of losing a knife due to some misadventure. Would be traumatised if I lost a high grade knife.